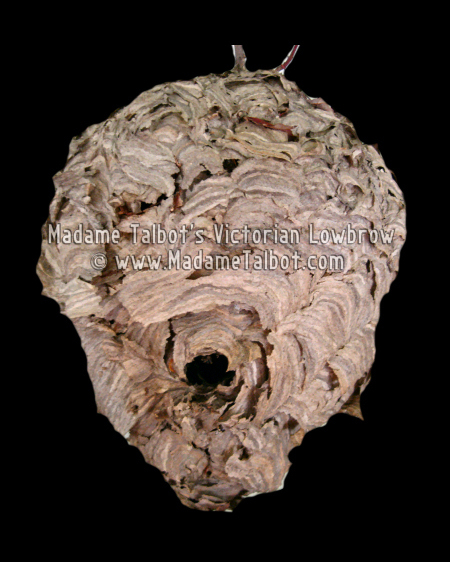 Large empty hornet's nest in excellent condition. Has several tree brances and leaves. 12 inches tall with a 29 inch circumference.